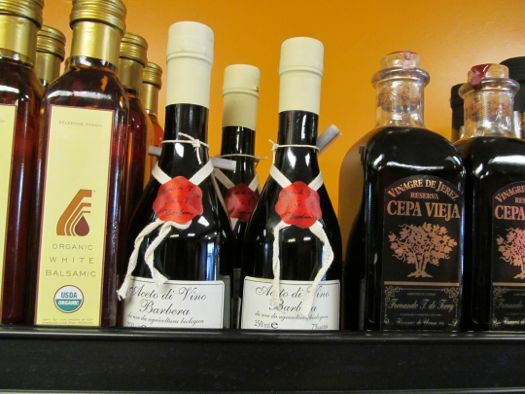 As mentioned earlier, the Cheese Traveler -- the new gourmet shop on Delaware Ave in Albany -- opened this week. After hearing about the plans for the store from cheesemonger Eric Paul and his partners during their startup grant presentation, we've been curious to see it. So we stopped in Thursday to talk with Eric and see how things were shaping up during the store's soft opening. If you have a little time, Eric's happy to tell you pretty much everything you'd ever want to know about the 80 cheeses they carry -- and the ones they're planning to carry -- and the process of making cheese, and the regulations for the amount of mold allowed on cheeses in Holland and... What we are saying here is that Eric Paul knows his cheese. You have to really love a thing to know it as well as he does. So, what's so great about cheese? "Well, each cheese has a story. It's an intersection of culture and geography and climate and tradition and history," Eric explains. "Cheese is a story of land, it's a story of the place -- and that's something we find fascinating. Also it tastes darn good. If your going to have something that's fat and luscious it may as well be delicious and interesting." 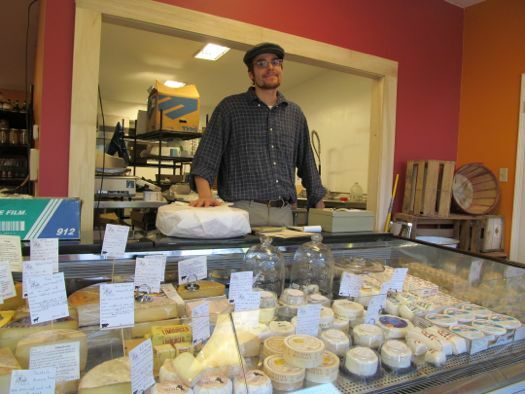 Eric says the Cheese Traveler will carry small production cheeses -- both imported and locally made. 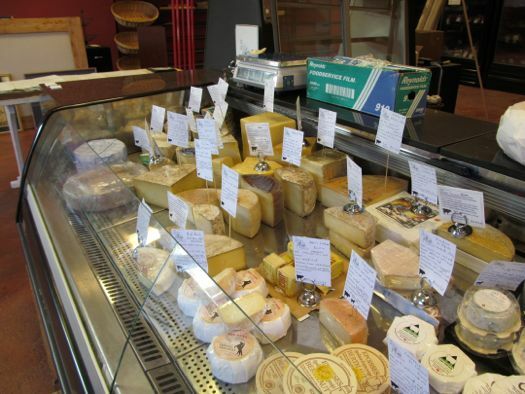 "We work with small local producers and the European affineurs -- the people who ripen and select and mature cheeses to get the best small production cheeses that we can get that offer a variety of styles." What they're really interested in is finding what Eric calls "the traditions" of the cheeses. "We're trying to find traditions from each country and each place that we source our cheese. 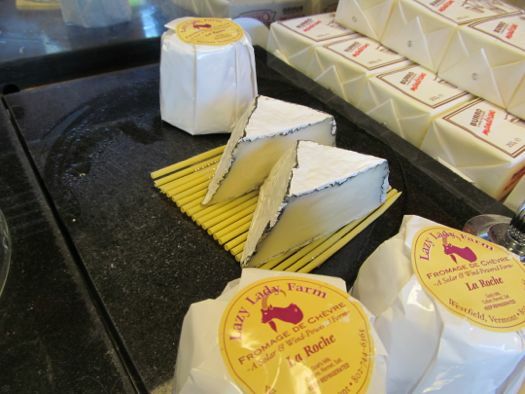 Even our local cheese makers have based their cheeses on the traditions of their European ancestors." A french goats milk cheese. Small format cheeses. The curd goes into different molds and it forms different shapes. 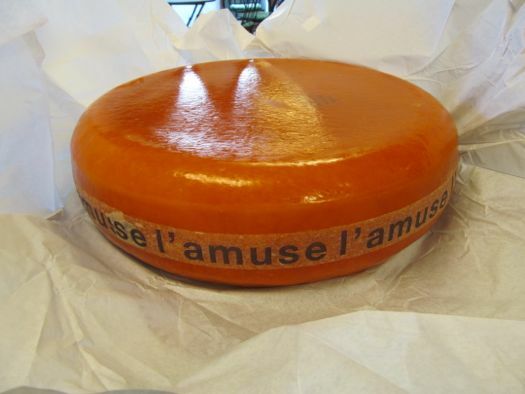 French rinds have a more crinkly look -- common in the Loire Valley -- very different than the rinds you see in the U.S.
Artisan raw-milk aged gouda from Holland. Cave aged in France. 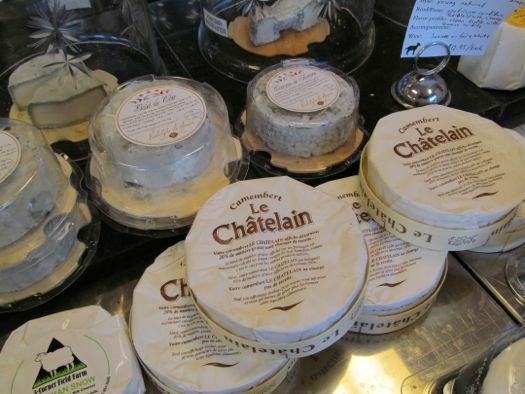 The cheeses will range in price from around $11 per pound to as much as $40 per pound. 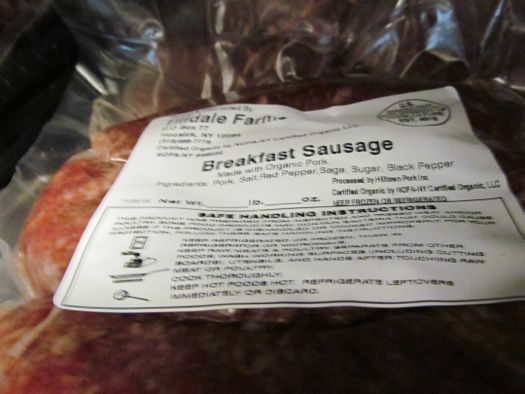 "I had a student come in last night and buy a half a pound of this cheese -- for around $5 -- and some sausage -- that was dinner." 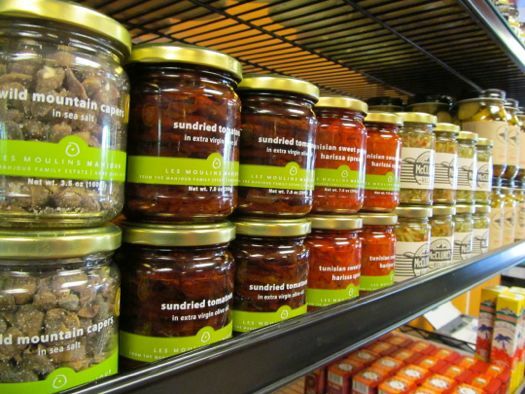 In addition to the cheeses Eric offers, the shop has small-production, imported cured meats. 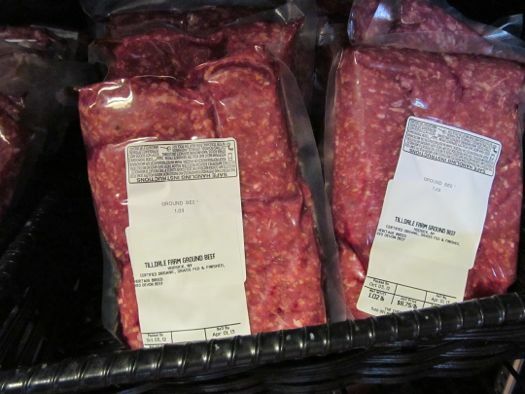 There's also grassfed organic heritage beef, pork and sausage -- both fresh and frozen -- from the local Tilldale Farm. 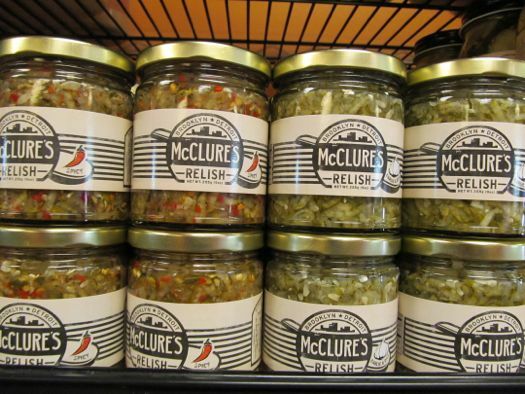 There's also a savory pantry with items such as imported olive oils, aged balsamic vinegars, condiments,Brooklyn Brine Pickles, and McClure's relish and Bloody Mary mix. 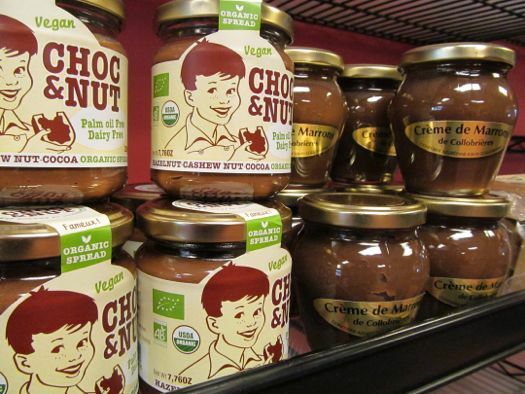 And there's a sweet pantry, with a selection of a few items that he expects they'll expand before long. Down the road they'll be working on staging "market days" where other producers and local farms will hold mini markets at the shop. 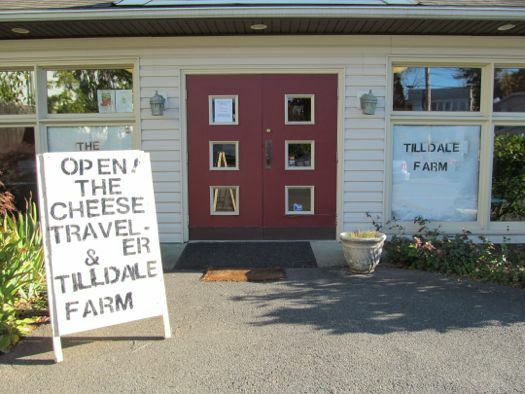 This week the Cheese Traveler as soft open so its doors are open daily at about 11 until 6-ish. You might want to check their Facebook page before you go, just to make sure. By next week they should be set in a more regular schedule. Like most "American" cheese eaters my expertise was limited to American (sandwiches growing up), mozzarella (pizza, yum), bleu cheese (pizza & wings, double yum) and of course the ole' pasta topper standard, parmesan. I quickly realized after 1 hour and multiple cheeses sampled that I knew "Jack" about cheese...no pun intended :) Eric guided me through the taste/ flavor profiles of the cheeses, regional descriptions and the proper etiquette to enjoy some of his finer cheeses. What 'The Cheese Traveler' offers that the larger "box" stores cannot is the knowledge, experience & passion of a true cheesemonger. Welcome to the neighborhood! I really love what Eric is doing, and can't wait to stop in again!! 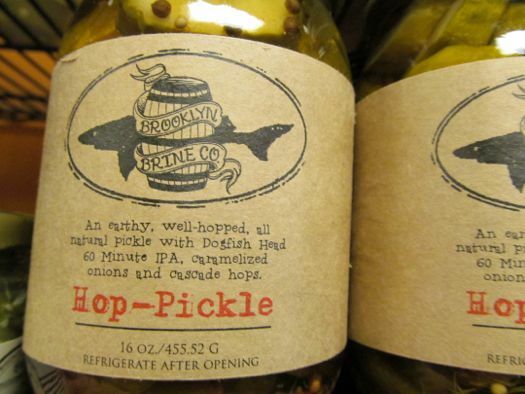 I'm hoping that Albany's food culture will sustain this business. I'll certainly be making the drive there! 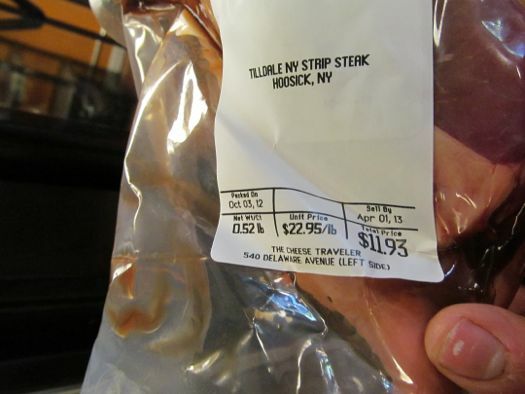 We had a place in Clifton Park that tried doing this a few years ago. I guess there's no market for fine cheeses, meats, pastries and gelato in Clifton Park, as the place eventually closed after having to cut back staff and hours over time. Looks like a complete rip-off of the cheese section of Honest Weight, where Eric used to work. That, plus its location at the very edge of town, makes me think he's got maybe 6 months before going out of business. Our neighbors brought some of your wonderful cheese over on Saturday night. FANTASTIC! Thank you thank you for coming to the Delso and blessing us with wonderful epicurean delights.